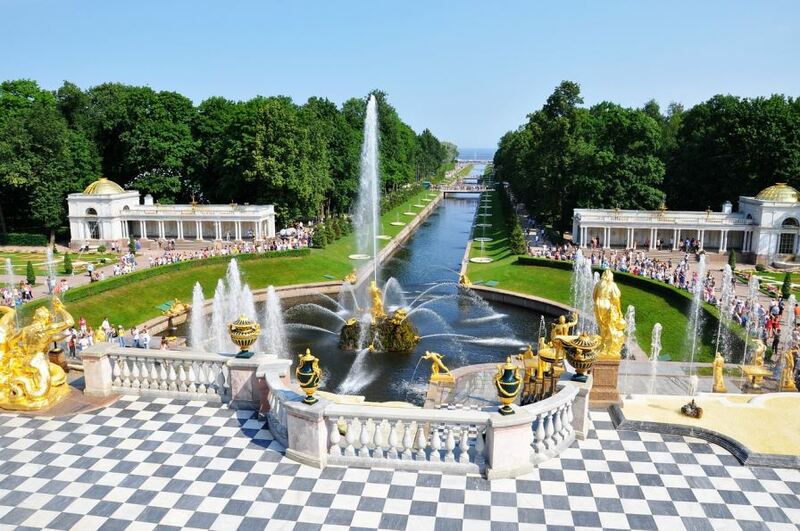 A private Peterhof tour is the best half day trip you can take in summer. Peterhof used to be a summer residense of tzars. 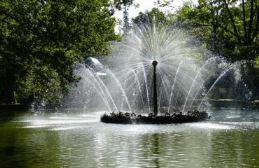 The place is famous for the Grand palace and an absolutely beautiful fountain park. It’s a rare occasion when the gardens are more famous than the palace itself. 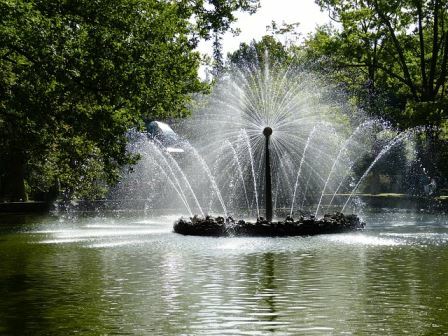 The main attraction are dozens of unique fountains created in the 18th and the 19th centuries. 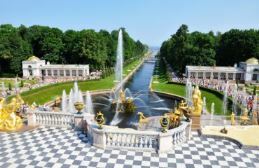 On a tour of Peterhof you will see all of them! 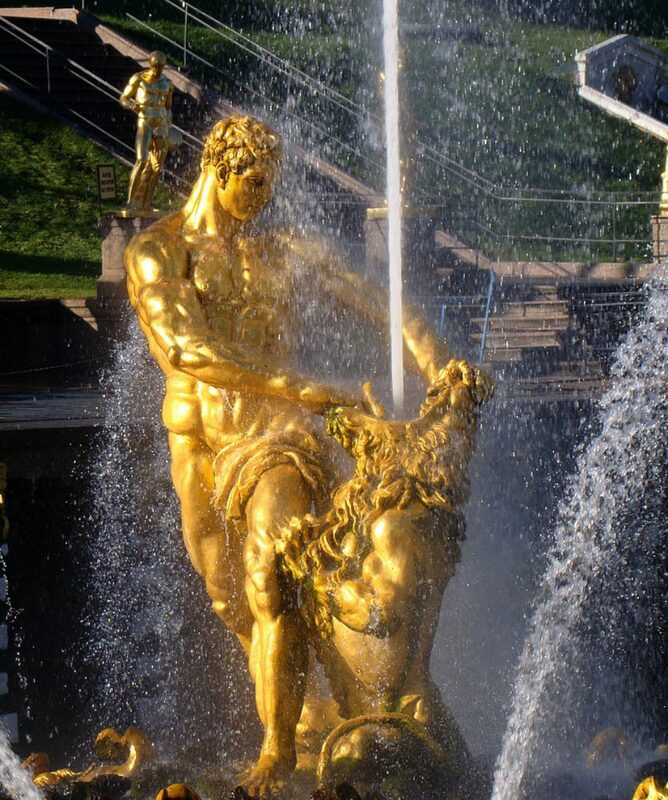 Try to feel the sense of humor of Peter the Great and avoid splashes of the “trick” fountains. Walk among cozy pavilions and small palaces. 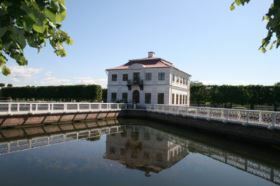 Feel a breeze from the Gulf of Finland on a hot summer day and find a quiet spot in the gardens to admire the beauty of fountains. 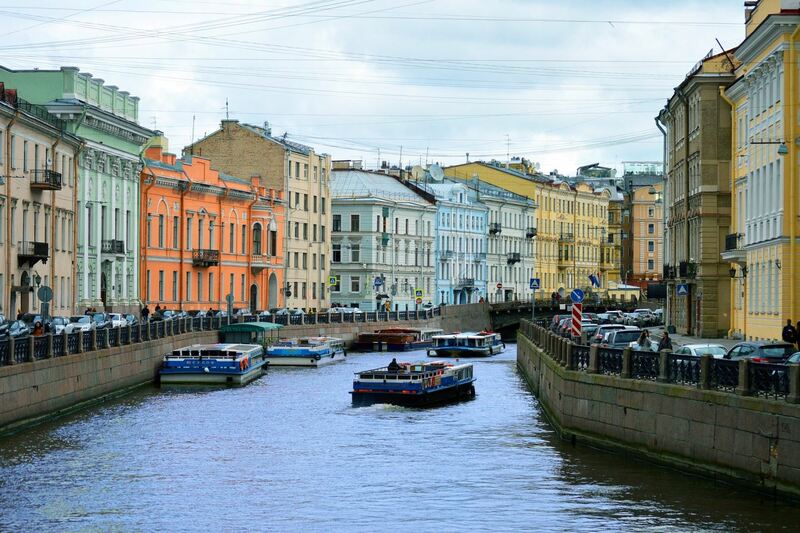 You’ll fall in love with Peterhof! You can choose between public transport (that is really cheap) , a private car or a hydrofoil to move around during the tour. We include a stop to see the functioning Peter and Paul cathedral in Peterhof (if we arrive by public transport or by car). It’s a very beautiful functioning church built in imitation of ancient Ryssian style. 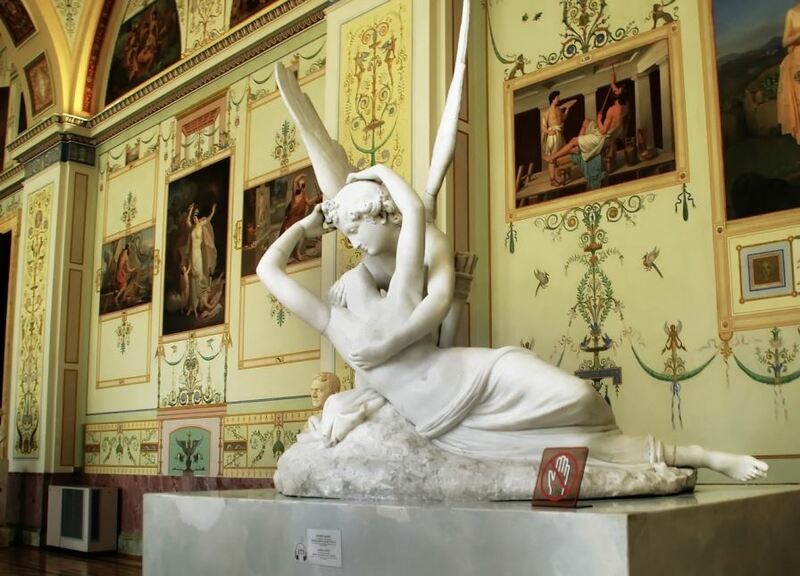 See other popular tours – the Hermitage, Catherine palace, St Petersburg city tour, etc. 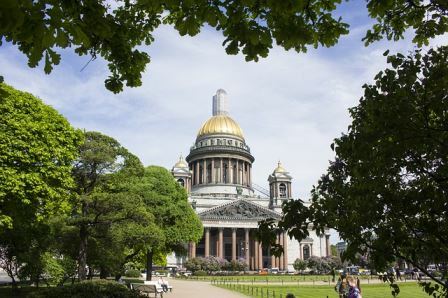 Off the beaten track tours – St Petersburg food tour, Pavlovsk, Russian museum, Yusupov palace, St Petersburg metro tour, etc. 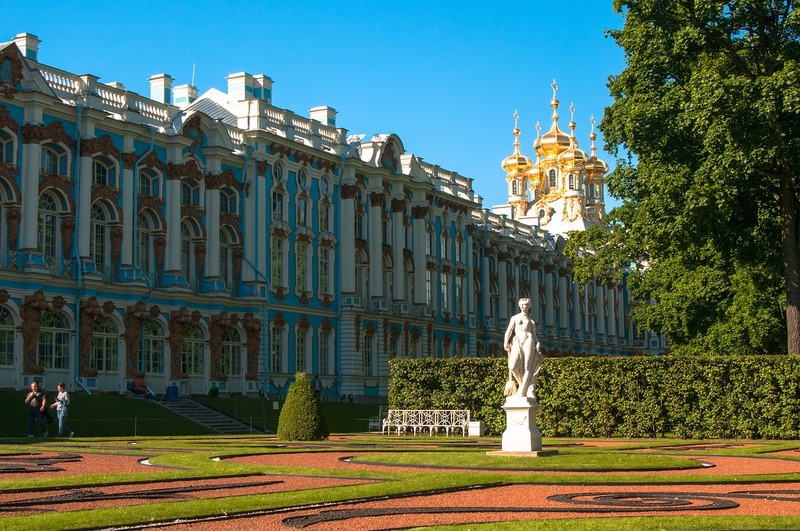 All about the Peterhof tour. Availability: Fountain park – daily from May to early October. Transportation: Public transport is included. Please contact us regarding the price if you prefer a private car or a hydrofoil. Requirements: russian visa. If you are on a cruise, please contact us to customize the tour for you and make it visa-free. Payment: cash in roubles at the day of the tour. The price in USD is approximate and given for information only as the exchange rate is constantly changing. You pay the amount indicated in roubles. Availability: daily except Monday. Public transport is included, please consult us if you prefer a private car or hydrofoil. Duration: 6 hours by public transport. Please note that the Grand palace is generally very busy in summer, so waiting at the entry may be required. We do book tickets in advance, but lots of groups need to enter during a short time period given by the palace administration and we can’t help it. 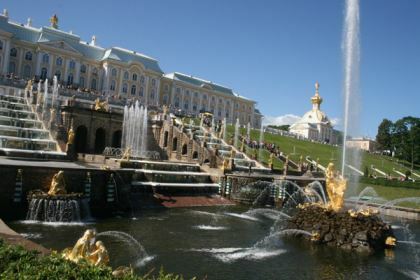 What is recommended to bring to Peterhof? Peterhof has a huge garden, so comfortable walking shoes will be necessary. Also check the weather forecast in advance – it’s better to take an umbrella in case of a chance of rain as we will be outdoors most of the time.